Monopoly Mac MONOPOLY game for Mac! 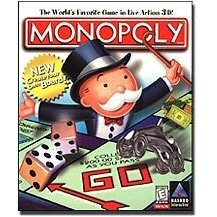 No game library is complete without the new Electronic version of the classic MONOPOLY board game for the Mac! 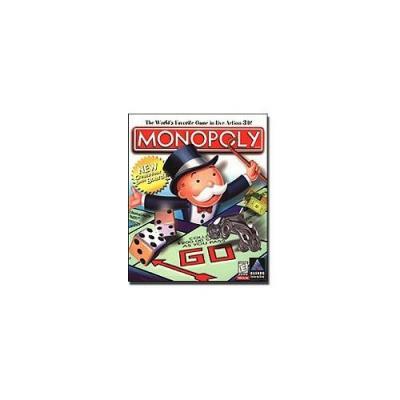 Featuring cleverly animated tokens, bright 3-D graphics and the choice of 10 different major city gameboards plus the classic MONOPOLY gameboard. Own it All! Get ready to wheel and deal! Mr. Monopoly is your Master of Ceremonies as Atlantic City comes to life. From Park Place to Baltic Avenue, you'll be entertained by state-of-the-art animation and sounds as you try to bankrupt your opponents and stay out of jail! Compete with up to six players or wheel and deal over the internet!